University of Great Falls (UGF) has joined Akademos' fast-growing list of partner schools. University of Great Falls, a private, Roman Catholic, liberal arts university based in Great Falls, Montana, offers associate, bachelor’s and master’s degrees through both onsite and distance learning.Starting Spring 2017, UGF students can shop for textbooks in new, used, rental and eBook formats on any device using a custom-branded version of the mobile-optimized Akademos online bookstore. Students can save an average of 60% off the list price of their textbooks and course materials using Akademos’ exclusive marketplace of over 18MM unique titles. Beaufort County Community College (BCCC) has joined Akademos' fast-growing list of partner schools. BCCC, a public institution based in Washington, North Carolina, provides associate degree, diploma, certificate and continuing education programs for Arts and Sciences, Business/Industry and Allied Health. These programs are designed to help students transfer to a four-year college or go directly into the workforce, as well as serve individuals that simply wish to advance their skills. Peru State College, a public, four-year institution and Nebraska’s first college, has partnered with Akademos to significantly reduce textbook costs, improve the efficiency of the textbook adoption process and empower faculty to select affordable, high-quality course materials.Peru State students can now shop for textbooks in new, used, rental and eBook formats on any device using a custom-branded version of the mobile-optimized Akademos online college bookstore. They save an average of 60% off the list price of course materials using Akademos’ exclusive marketplace of over 100 million new and used textbooks. Akademos has partnered with Presentation College to launch an online bookstore website giving students access to a vast selection of low-cost textbooks along with a convenient, personalized and fast ordering experience. Presentation College, named to the President’s Honor Roll for Community Service, is an independent Catholic institution based in South Dakota with a focus on the education of health care professionals. 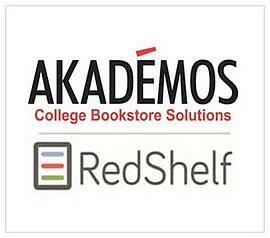 Starting this July, RedShelf, one of the fastest-growing distributors of eTextbooks in the U.S., will distribute digital course materials through Akademos. A new strategic partnership between the two companies will offer students state-of-the-art digital materials at prices that are up to 60% lower than the cost of printed course materials. Akademos’ customized, online college bookstore solutions support over 120 colleges and universities nationwide. In 2015, Akademos saved students over $11 million in textbook and course materials costs, furthering its mission to meet the increasing demand for affordable and accessible course materials. Akademos announced today that it has partnered with Kansas City University of Medicine and Biosciences (KCU) to lower textbook costs and provide students with expanded course material options. KCU is the largest medical school in Missouri and the 12th largest in the United States. Starting July 2016, KCU students can shop for textbooks in new, used, rental & eBook formats on any device using a custom-branded version of the mobile-optimized Akademos online college bookstore. Students save an average of 60% off the list price of their textbooks and course materials using Akademos’ exclusive marketplace. The online storefront will become KCU’s exclusive school-sanctioned bookstore. The campus store will sell items including spirit wear, snacks & general merchandise.